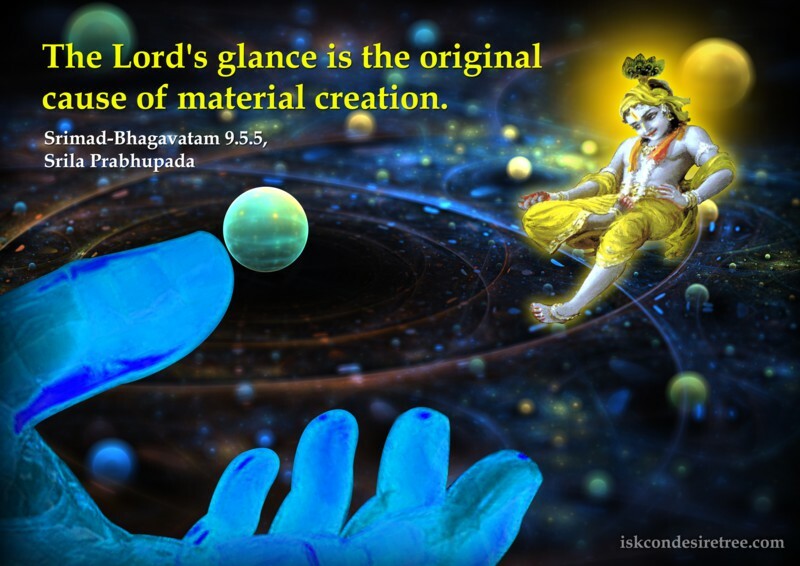 The Lord’s glance is the original cause of material creation. 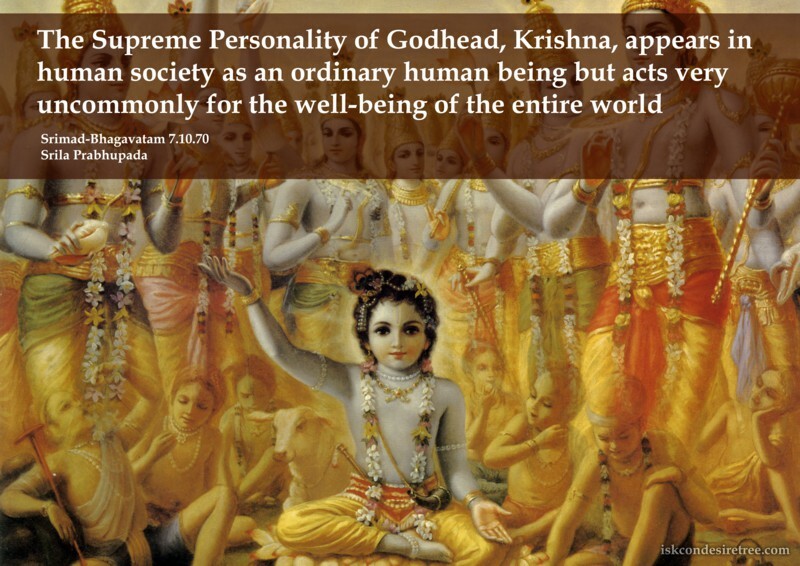 The Supreme Personality of Godhead, Krishna, appears in human society as an ordinary human being but acts very uncommonly for the well-being of the entire world. 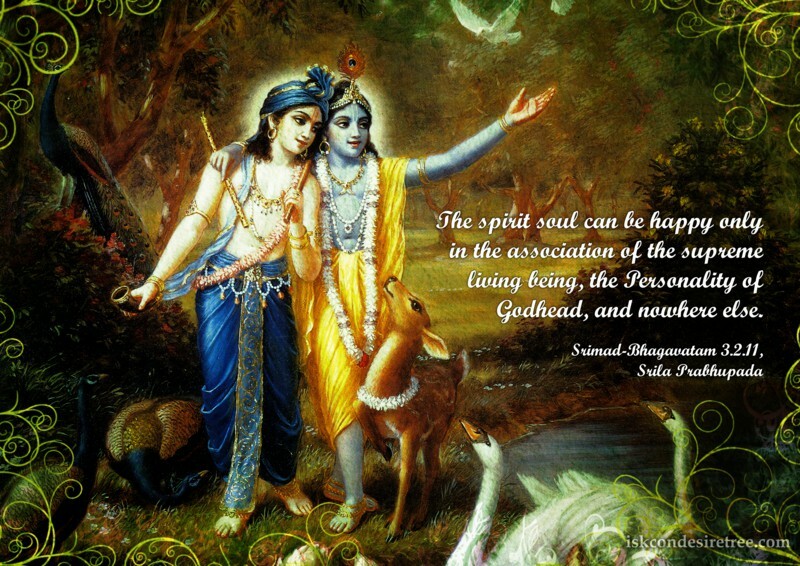 Whoever sees Lord Krishna sees a festival. 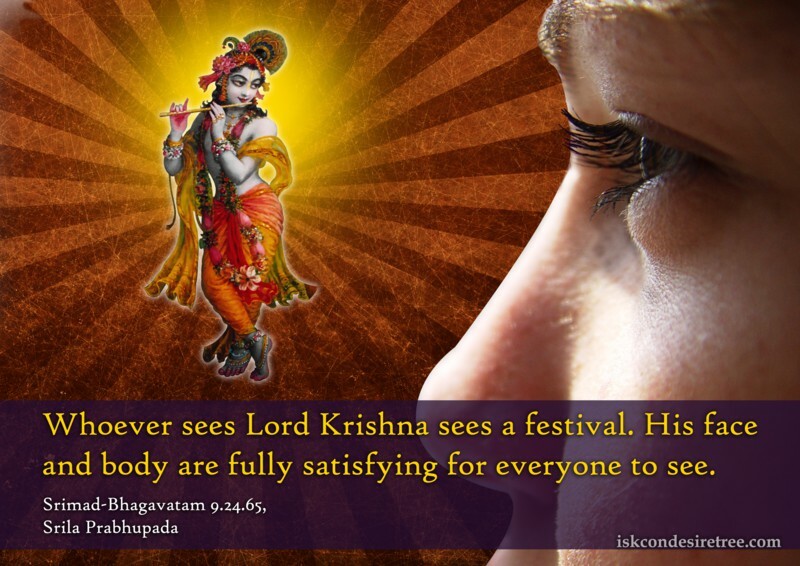 His face and body are fully satisfying for everyone to see. 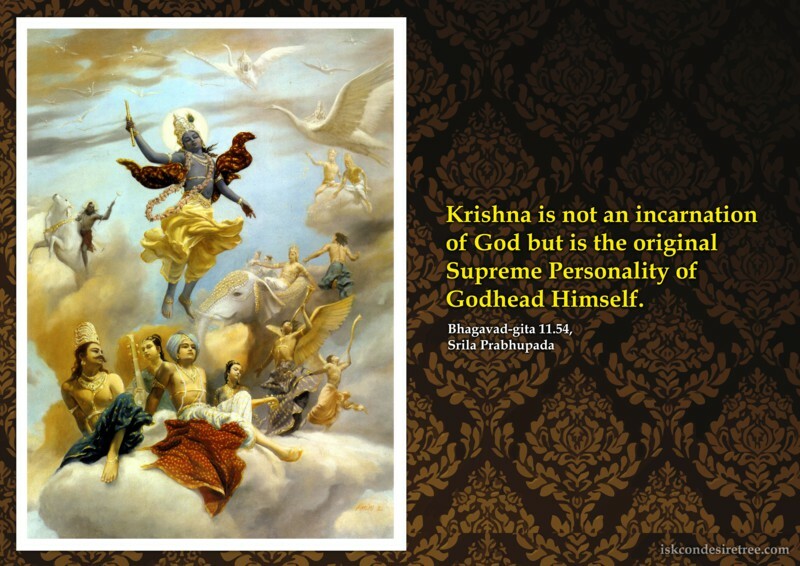 Krishna is not an incarnation of God but is the original Supreme Personality of Godhead Himself. 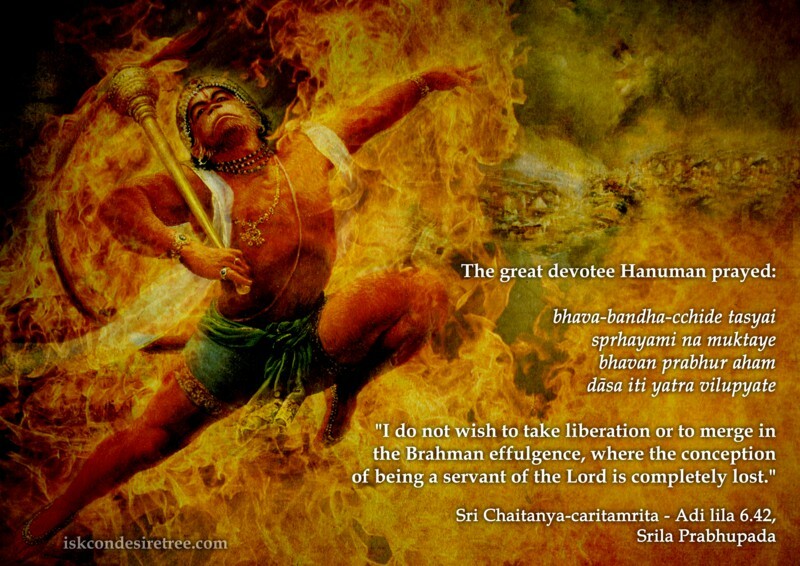 I do not wish to take liberation or to merge in the Brahman effulgence, where the conception of being a servant of the Lord is completely lost.